Domestic life in 1891 Oak Park was typical of the age. The home dynamic was pretty well settled—men went to work locally or in downtown Chicago and women stayed home, raised the children and prepared the meals. And for some of the women, of course, there were also the luncheons at each other’s homes, opportunities to meet with friends, socialize, and talk about their lives and the community. For 22 women luncheon and socializing was not enough. They were progressives, saw a community in need, and determined to put their own talents, resources, and activism to work. 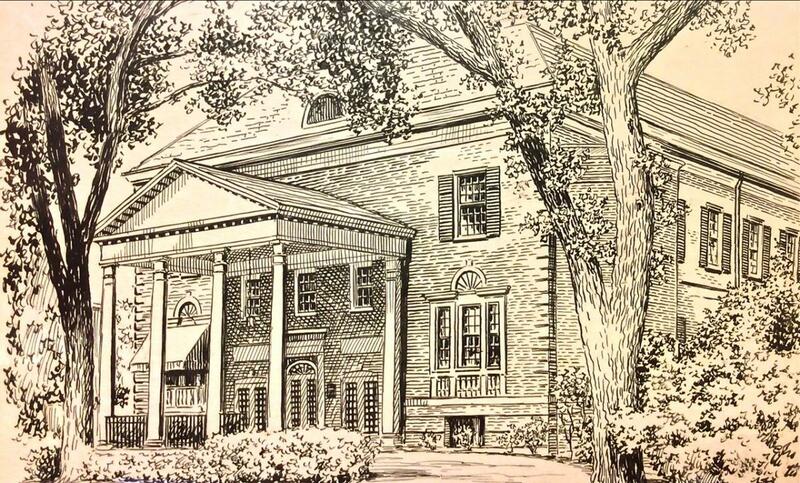 They founded what was to become one of the most effective, influential and long lasting institutions in Oak Park—the Nineteenth Century Club. This spring the 19th Century Charitable Association, the umbrella 501(c)3 organization for all charitable activities of the club, celebrates its 125th year with a variety of special celebrations and events. While much has changed over 125 years (including male membership) the mission remains essentially the same—to foster education through club programs for members, provide college scholarships for Oak Park River Forest High School students, and provide financial support for deserving not for profit organizations providing essential services to the Oak Park community. The legacy of the 19th Century Club is replete with firsts: members have helped elect or appoint women to the Oak Park high school board (1892), the Oak Park village board (1927), the first all-female jury in Cook County (1913), and the 1903 women’s suffrage convention in New Orleans, where a member served as chairperson. A club member served as a delegate to the Illinois Constitutional Convention in 1970 and, in 1980, the Oak Park Fire and Police Commission appointed a woman for the first time, also a club member. From the beginning guest speakers have been, and continue to be, a major feature of the club, hosting notables from the worlds of art, literature, politics, music, and international affairs. The list ranges from Carl Sandburg, Ogden Nash, Frank Lloyd Wright, and Bertram Russell to Jane Addams, Amelia Earhart, Indira Ghandi, Marlin Perkins, Dr. Percy Julian, and Gov. Jim Thompson. The legacy also includes over a century of philanthropic support to many non-profit organizations in Oak Park including the Oak Park River Forest Day Nursery (which the club helped establish in 1912), the Oak Park Art League, West Suburban PADS (now known as Housing Forward), Hephzibah Home and the OPRF Symphony. Philanthropy and support have not always been local. The club helped victims of the 1906 San Francisco earthquake; over the years it also supported the war effort during both World Wars, Jane Addams Hull House, the League of Nations, the women’s suffrage movement, child labor laws, and anti-discrimination efforts by working with the Frederick Douglass Center in Chicago to foster interracial cooperation. The club’s most visible presence in Oak Park is unquestionably the “clubhouse” itself, a beautiful James L. Fyfe building built in 1928 at 178 Forest Avenue, across the street from Austin Gardens. Among other things it originally featured Oak Park’s first swimming pool, reserved initially for members and Girl Scouts, and was later opened to the public. Then and now the club boasts the ballroom, the largest civic meeting space in Oak Park hosting more than 300 events and 30,000 people annually. The building received Oak Park Landmark status in 2010. The roots of the building began with a plaintive plea in 1916 by then president Gertrude Lewis about the lack of a permanent meeting space for the club. As reported in the September 2, 1916 Oak Leaves: “We are all at sea. This year we are to be hooked on the antlers of the Elks (club). Their building is new, but when it is thoroughly seasoned we will all be accused of smoking cigarettes and will not be able to disprove it. Besides, while they have been very nice about it, they really did not want us. We are there (theirs?) for revenue only”. To join in the yearlong celebration of the 125th anniversary visit the club’s website at www.nineteenthcentury.org.